My first introduction to a mean mother-in-law was as a child when I watched the television show, “Bewitched.” Samantha, and Darrin are a happily married couple; Samantha is a sweet and kind “witch” who could perform magical spells by twitching her nose and Darrin is an ordinary mortal who could do no such magic but is a nice guy. Samantha’s mom, Endora, the prototype mother-in-law, is a proud witch who is angry about her daughter’s mixed marriage with a lowly mortal. She criticizes him, never bothers to call him by his correct name, calling him “Durwood,” “what-his-name,” and worse. She casts spells on her son-in-law, and attempts (unsuccessfully) to split the couple. Anyone reading this post is likely kind person who only wants the best for her son-in-law or daughter-in-law. But still, I’ve heard enough complaints from friends, colleagues, peers, forum-mates, and other blog-acquaintances to realize that bullying behavior does exist between MILs and DILs (with the MIL usually being the bully). Yes, bullying extends past the toddler’s sandbox or elementary school yard. 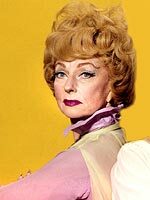 And so, if you see yourself in any of these seven signs, then realize you may be following in Endora’s witch-steps. And that’s a place you do not want to go. The signs below are mostly regarding the MIL-DIL relationship because that seems to be the most bully-friendly relationship – meaning bully-MIL’s seem to gravitate towards DIL’s rather than SIL’s. You complain about your DIL to your son, or you complain about your SIL to your daughter. This is a no-no. Never bad-mouth your in-law child to their spouse. This can cause much strife in their marriage. Your DIL can do no right in your eyes regarding her child-care choices. If your DIL is a SAHM (stay-at-home-mom), you criticize her for not getting a job. If she works outside the home, you criticize her for not being home for her children. In short, she cannot win. Another example: Your DIL feeds the kids too much sugar. Or she feeds them too much health-food and not enough sweets. Either way, you are focused on their plates and what they are eating. You claim your DIL doesn’t invite you over enough to her house. For this reason, you stop in whenever you feel like it, without calling. After all, you reason that you can’t wait till she invites you – because that is never going to happen. You favor one grandchild over the other. You show this by consistently leaving one out and buying the other grandchildren gifts. You bring or send food or other items over to your children’s house and say that it is for your son only. You call their house and if your DIL answers, you don’t chat with her but ask immediately to talk to your son. When you need something fixed in your own house, you call your son and ask him to come over to help out, without considering that he may be needed at home. If you see yourself in any of the above bullying behaviors, ask yourself why you are so focused on your adult children’s lives and not your own. Perhaps you need to get a life, and find some ways to keep busy with hobbies, a job or some other pursuit of your own. Maybe you need to ask yourself what in your own life is missing that you are trying to fill with this negativity. For more about this topic, please refer to motherinlawhood101.com – my website that gives tools for mothers-in-law to cope. Checklists for what to do to be an effective mother-in-law and how to accomplish that. Remember: Even though your couple stays married and loves each other very much, as was the case with Darrin and Samantha in “Bewitched,” you still don’t want to cause any extra strife between them. Bottom line – stay out of their lives and stop being a bully! Miriam Hendeles, MT-BC is a music therapist, writer, blogger and the author of a book on being a grandmother to her four grandsons, Mazel Tov! It’s a Bubby!. Her blog is Bubby joys and oys and her website is Mother-in-Law-Hood 101. MIL’s who visit that site will get ideas of how and when to speak up, keep quiet, cope and survive in their challenging roles as mothers-in-law. Miriam lives in Los Angeles with her husband and sons. 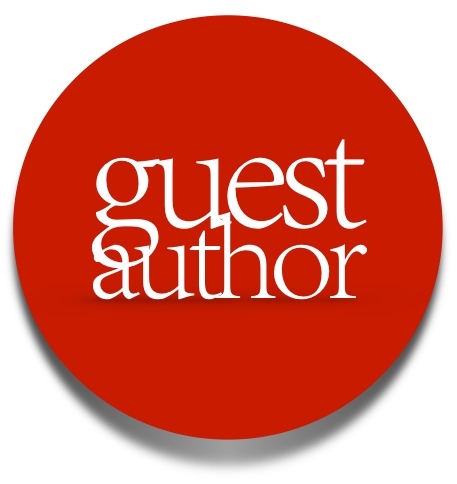 *Disclaimer: All Guest Author publications are written exclusively by the featured author. Guest author is responsible for giving credit for quotes used from other sources, as well as obtaining permission/paying user fee for all photographs not from their own library. We’re looking to respect and play nice with everybody! Excellent advice! I never had a MIL since my late husband was orphaned at a young age. My son is grown and is living with his fiancee’ for 5 years now. I think she’s a saint! He’s the most difficult person to live with. I remind him to be good to her because she puts up with him..haha. I do know that this isn’t the norm though and I have heard horror stories from many friends. Great post. Miriam Hendeles recently posted…What Kind of Mother-in-law Are You? My outlaw (ex mother-in-law) was terrible, she wasn’t a bully but always babied her son and told me I wanted me to do the same. I try to keep my comments to myself and offer only praise and encouragement. I have had my moments I guess, but I try very hard to be supportive and keep my mouth shut! I agree with you that babying our sons is not helpful…sorry you had to go through that with your ex’s mom. As for you as a MIL – if you try very hard to be supportive, then I bet you are doing fine. Can’t go wrong with praise and encouragement! Thanks for that comment! Reading this, it’s official, I have the best MIL ever. I think I am pretty lucky! Bullying Sign #8: You insist, through guilt and manipulation and emotional blackmail, that your wishes for the holidays be followed, and the child-in-law’s family be discarded, to Get What You Want. Bullying Sign #9: You complain about your CIL to your other offspring and/or other family members, effectively turning them against the CIL, to Get What You Want. Bullying Sign #10: You defend your slander by saying, “But I was sad and wanted to confide in the people who love meeee!” You wanted sympathy and henchmen, you Got What You Wanted. Bullying Sign #11: You call one phone. If you get no reply, you call another. Then you call the work numbers. If no reply, keep dialing until you Get What You Want. Bullying Sign #12: Do not take “No,” do not take “I’ll think about it,” for an answer. Push, push, push to Get What You Want. You’re the matriarch! Who’s this little chit of a girl who thinks she can divide your sons loyalties from his mamma? Amazing how over 13 years, our time spent with MIL and his 2 older sisters and their families, has dwindled. It’s gone from Xmas Eve overnighting into all day Xmas Day and evening, to just Xmas Day and evening, and now you’ll be lucky to get us for 2 hours on Xmas Day, MIL, all because you Push to Get What You Want, and you trained up your daughters to Push to Get What You Want, as well. We’re no match for the three of you. Thanks for your points. We probably could come up with another dozen bullying examples. Sorry that you have to go through these pushy, manipulative and dominating behaviors. Their persistence kind of reminds me of a baby who cries and cries until he gets his way. Makes ya kind of wonder…hmmmm…should we be caving in to their desires? Or just ignoring….? I’m not sure – but I now it is very hard. Thanks for your comment. If only it were silly little things like dropping by unannounced. Getting what you want? mmm. We already accept that as a given. God help the branch of the family that doesn’t comply with the plans she’s made for her grown children. The bully-in-law isn’t always so convenient as to simply have an over entitled sense of ownership of her son. The noose in the apron strings can be far nastier. Co-dependency between mommy and mommys boy runs far deeper than favoritism or food. When MIL is a bully, it’s your POWER she resents, so the attacks are power based. Believe me, I live it. The stronger I am, the nastier she gets. The older she gets and the more she feels she’s not as powerful as she would like to be, the more petty power grabbing happens. It’s kind of passive aggressive to plays the “signs” game. Signs you’re being bullied. Really? You know when your personal power is being attacked in an ongoing and deliberate fashion. (That separates out the “annoying” yet mostly ambivalent MIL from the true bully.) Passive aggression is a sign that you are somewhere in the game. Bully or bullied, it needs someone who can’t fight openly and has had to move to a place where deniability allows them to back out of their statements if need be. We could play ball on that field, but I’m guessing most sixty plus year old women have more practice at that game than their daughters’ in law. Since bullying is about power, then you have to own your own side of the problem. Namely, how are you going to deal with this without allowing it to cause fights in your relationship – and you wouldn’t be here if it weren’t. Not ideally, realistically. You can do a few things. Depends on how “right” you need to feel about any given situation, and how important pride is to you. You can work to persuade this person that you have no power, or that your power is already their power (works for a time, isn’t graceful or ideal but hey, examine all possibilities.) Model their power positively. People like to look in the mirror and like what they see- tends to backfire when they see differences between you and them though – you will be pressured to become her proxy. You can use the patterns that the person is already aware of and comfortable with, abuse and co-dependency, even if it is just on an emotional level, also comes with challenges because you have to choose an evil. Games tend to be that way. Unless you’re a career hustler or she’s already ancient, you wont be able to outlast her. Enablers like people who are very weak, it gives them control and allows them to start the game of emotional debt and regret. You aren’t a desirable enough property to come into the game as the enthroned abuser. You might actually want to examine the ways your significant other may abuse his power with his mother. She didn’t just let herself in. How exactly did mommy hear that you disagree with where he leaves his clothing in your bedroom? If you have a spouse that rewards his mother when there is conflict in your marriage by sharing confidences that foster intimacy with her at the expense of intimacy with you, then it’s not surprising that she’s instigating. A ZERO VENT policy has to be instated, HONESTLY, with no exceptions. Mom has to have her pay out for drama cut off. If you find her making herself the solution to disagreements in your marriage, it’s your spouse at least in part. Once he closes that door, she isn’t going to play nice though and will WORK to open again through creating conflict in your marriage. The more appealing idea is that we can be powerful and be respected for that. With a bully, that’s not what’s going to happen. Oh well. I mean you may teach an old dog new tricks on occasion, but only if they want to learn, and chances are, she doesn’t. What she does is working for her. Why should she? You essentially either have to persuade a bully that you are too much trouble to bother with or aren’t worth noticing. You’re already enough of a bother to bother with, because you had the colossal nerve to be with her son and to know him in ways that she can’t. You and that baseball coach when he was seven that put all that pressure on him and he cried and she couldn’t save him from that either. Next strategy then. Ways to keep your power or at least your self respect when someone is trying to get you to just hand it to them. 1. Let them. Okay. She wants to make him extra special treats like he’s seven or something? Sure. She can knock herself out. All day long. With a brick. She want’s to take him to doctors appointments? Have fun. Let her. Now if she wants to take him shopping for pants… try not to get too ill at the thought. Give her the power you can live with her having even if you don’t necessarily like living with it. Be aware she will try to use it. You didn’t give it over thinking she would keep it on the shelf. You gave it over to keep her meddling manicure out of the things that DO matter to you. She isn’t doing things for him to benefit you, she is doing it to assert herself. Have a sense of humor. I mean this is funny if it were happening to someone else. Calling someone till they answer? You have to have thrown away self respect at this point. Even if you can’t share the joke, it saves your feelings of person hood. The kitchen is a mess? Agree with her. Yeah it is. Then leave it at that. No pay out. We don’t reward bad manners with good words. Someone somewhere in the world is speechless and you’re just giving your words away? I jest. If I didn’t, I would go stand in front of my mother in laws house right now and start eating her prized roses. With a fork. Put the family first. breaker braker 19, she’s a big ol’ bee. You’re going to have to deal with her, if you’re lucky, till one of you dies. Lets hope you’re really lucky and she goes first. If the day is about anything besides something directly related to you or your offspring, back burner it. That means holidays belong to the family at large. Schedule her in. If you don’t want her taking time you haven’t given her, then give her time you are willing to give her. I have a question. If a MIL is aware that the care of the grandchild puts him or her in danger, what help can a MIL be to the child?